For my first Variety Artisans video, I interviewed veteran musical-theater songwriter Stephen Schwartz, the recent recipient of ASCAP’s Founders Award, at the renowned Nightbird Studios in Hollywood. He talked about the ASCAP honor, discussed the status of the Wicked movie (due, we hope, in 2019), and previews a new song that he has written for the stage version of Prince of Egypt, which will debut in Palo Alto, Calif., later this fall. This entry was posted in and tagged ASCAP Founders Award, Nightbird studios, Prince of Egypt, Stephen Schwartz, Variety, Variety Artisans, Wicked on June 15, 2017 by Jon Burlingame. 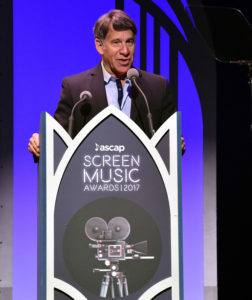 Stephen Schwartz was honored last week with the Founders Award of the American Society of Composers, Authors and Publishers (ASCAP). In addition to covering the annual ASCAP Screen Music Awards for Variety — which featured not only the Schwartz honor but a number of other awards doled out to film, TV and video game composers — I had the pleasure of interviewing him at length about his career. He talked about working on the upcoming (2019?) Wicked movie, both screenplay and new songs, as well as the enduring popularity of such Broadway shows as Pippin and Godspell. His Prince of Egypt score (from the 1998 animated film) has been expanded for a stage version to debut this fall. 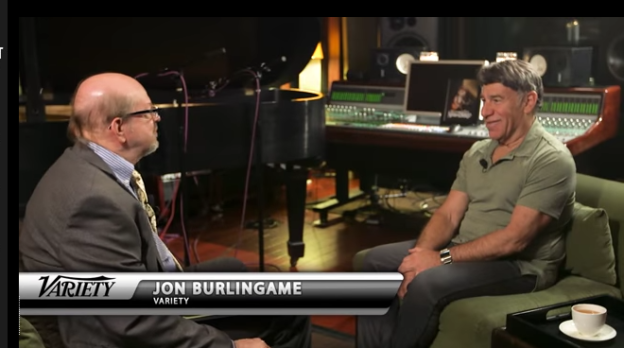 This entry was posted in Composers, Film Music, Interviews and tagged ASCAP, ASCAP Screen Music Awards, Founders Award, Prince of Egypt, Stephen Schwartz, Variety, Wicked, Wicked movie on May 22, 2017 by Jon Burlingame.